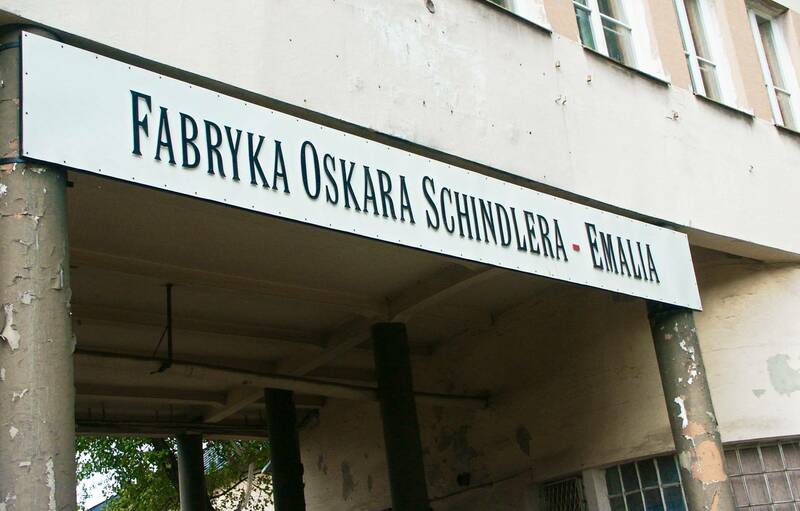 Oskar Schindler was a German industrialist and owner of the enamelware factory in Krakow. He bought the establishment in Krakow in 1939 from previous owners and soon Schindler’s factory became one of the most prominent in the area. In 1943 Schindler run a production line of ammunition and military equipment for Wehrmacht. Schindler employed almost 1750 workers, with a thousand being Jewish. At first, he probably employed Jews to save money and decrease expenses. But during the course of World War II, he developed deep care about his Jewish employees’ fate and tried to help them. Schindler was a member of the Nazi Party and before the war, he was a German spy. The events of World War II, however, left him appalled and he decided to save as many Jewish lives as he could. When in 1942 German Army started to liquidate the Krakow ghetto and transporting its residents to concentration camps, Schindler used his connections to protect his employees. He moved all of his Jewish employees to the factory, where they could live relatively safely. He justified his actions to the German authorities that skilled workers were essential for the work of the factory and the attempt to harm them will be bringing his claim for compensation from the German government. When at the end of the war the Red Army approached Krakow in 1944, the German camps were liquidated and their inmates were mostly exterminated. In October 1944 Schindler succeeded to save 1200 Jews from almost certain death in the Plaszow concentration camp. The list of 1200 names was compiled in collaboration with administration workers from the Plaszow concentration camp, Mietek Pemper, and Itzhak Stern. Schindler moved the Jewish inmates as “workers” to his new factory in Brünnlitz. The people whose names were on that list will later be known as Schindlerjuden – Schindler’s Jews. He arranged for the Jews to escape the inevitable extermination and continued to bribe SS officials to prevent the execution of his workers. By the end of World War II Schindler had spent his entire fortune on bribes and black-market purchases of supplies for his workers. Despite his heroic actions, as a member of the Nazi Party, Schindler was in danger of being arrested as a war criminal. When the war ended, he had to escape Russian troops. He lost all of his valuables, including a car, a diamond and a golden ring he was given by his Jewish survivors. He kept, however, the most important document he was to present to the American authorities. It contained a statement from several of the Jews he saved attesting his actions. 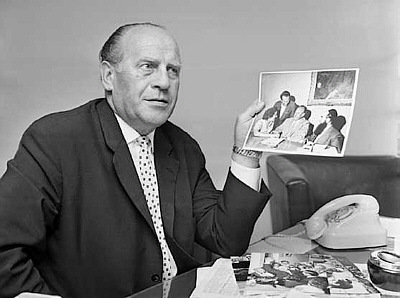 After the war, Oskar Schindler had lived in Argentine for some time and then settled in Germany. He remained in contact with many of the Jews he had met during the war and developed close friendships with people from this famous list. Due to the fact that he did not prosper in post-war Germany, he received assistance from Jewish organisations and donations from families of those whose he had saved. 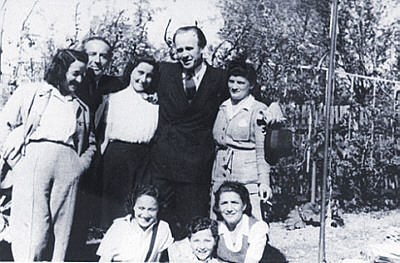 In 1963 Oskar Schindler was named Righteous Among the Nations. It is an award bestowed by the State of Israel on non-Jews who took an active role to rescue Jews during the Holocaust. He died in 1974. Following his wish, Oskar Schindler was buried in a Catholic cemetery on Mount Zion in Jerusalem. He is, therefore, the only Nazi Party member to be honoured that way. In the buildings of Schindler’s factory, a branch of the Historical Museum of Krakow opened in 2010. The Schindler’s factory Museum commemorates Oskar Schindler but also presents wartime life in Krakow. The story of Oskar Schindler and the people he had saved is told in a complex exhibition together with the story of an occupied city and wartime life of its inhabitants. The main exhibition – Krakow under Nazi Occupation 1939-1945, focuses on Polish and Jewish inhabitants of Krakow during World War II and how the Nazi occupation had affected their lives. The Nazi occupation of Krakow left its mark on the city, its multicultural inhabitants and obviously, took thousands of lives of Polish Jews. Forty-five exhibition halls present the horrors of World War II and give honour to those who lost their lives in the Holocaust. A room dedicated to Oskar Schindler is his old office that luckily stood the test of time. 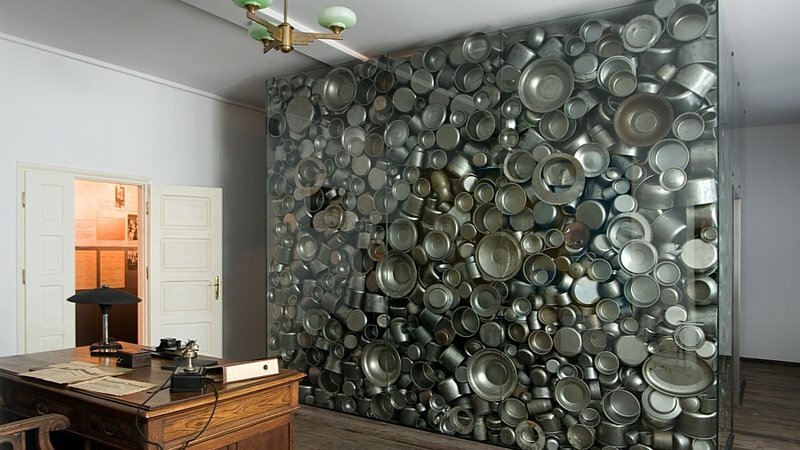 A wall with thousand enameled pots, resembling those that were produced by Schindler’s employees, is a symbolic memorial of thousands of lives he saved. “The Schindler’s List” is also presented in a dedicated exhibition hall with a reconstructed list of all 1200 names. History of the Holocaust and of World War II is often indefinable. Photographs, newspapers, letters are only material signs that carry immense meaning in their context. This meaning is more likely to be felt by each and every one who wants to experience it than seen. Therefore the Museum is based on the significance of the place where it was established. A number of multimedia solutions were used at the Museum to help arrange a specific atmosphere around the place. (first Monday of the month: 10 a.m. – 2 p.m.) 10 a.m. – 2 p.m.
Tuesday – Sunday 9 a.m. – 8 p.m. 10 a.m. – 6 p.m. In 2017 the Museum is closed for visitors on: 5 and 6 Jan., 16 April, 2, 3 and 25 May,15 June, 18 July, 15 Aug., 1, 10, 11 Nov., 25 Dec.
Mondays: free entrance for the main exhibition. Entry pass needs to be taken from the ticket office; daily limits apply. * Daily limits of visitors apply; booking tickets in advance is adviced. ** Visiting with children of 14 years old and older is recommended. What an impressive place! Oskar Schindler was a brave man indeed, I'm totally fascinated about him after visiting the Schindlers Factory. Although it’s situated not far from the city center, it’s in kind of solitary area of Krakow. I’ve seen the Schindler’s Factory movie few months before so it was even more interesting to compare all the facts and characters. It took me around 30 minutes to get there by walk, so when I finally reached the Museum I was kind of tired. Anyway, it was totally worth seeing, especially the interactive exhibitions were really cool. Inside the Museum I felt as I was one of the citizens of the former Krakow ghetto.All the photographs and videos were so interesting that 3 hours passed very quickly. In the end the Podgorze district turned out to be really nice place as we walked around – quite hidden but very nice restaurants in there! I’m wondering if there’s someone here who didn’t see the Spielberg’s movie and went to the Schindlers Museum first. I did that way and honestly, there is no comparison between the director’s imagination and the reality. The Schindlers Museum was utterly outstanding for me. Well, maybe it’s because I love every kind of museum. But still, the form of the exhibitions presented in Schindlers Factory is really interesting and can be attractive for every age. I also recommend to go to the Eagle’s Pharmacy in the Podgorze district – it is not far from the Factory and is also crucial in the Jews’ history during the World War II.